Music from Nicky Dodd this Saturday the 22nd of June. 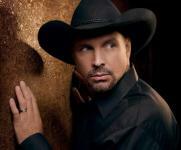 Nicky Dodd is a Garth Brooks tribute act and will be a collection of his greatest hits. Check out some of his songs on this link. All welcome. Live music from Noel Porter this Saturday the 15th of June in the club. 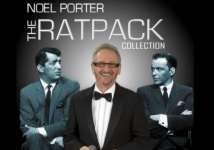 Noel Porter plays a collection of RatPack music. All welcome. Check him out in this link. 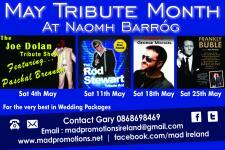 Naomh BarrÃ³g are pleased to announce that we will be hosting a month of tribute acts in May. This will take place every Saturday night and the acts include Joe Dolan, Rod Stewart, George Michael and Michael Buble. More info to follow closer to the dates. Poker this Friday the 5th of April in the club. It was enjoyed by all last time. New players more than welcome. Game starts at 8PM. 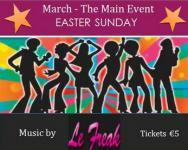 Don't forget the main event in the club this month is live music from the disco funk band Le Freak. They are playing on Easter Sunday. Tickets are 5 euro. They are now available behind the bar. Friday the 15th of March, drink promotions and DJ back in the club after everyone has made their fortunes at Cheltenham. Voyagers drama group present 'Turkish Delight' this Tuesday the 26th of February unitl Thursday the 28th of February at 8PM in the clubhouse. Tickets available at the door. Bar open as normal from 10PM. 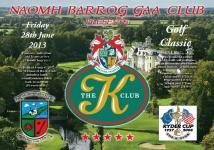 The girls from both the Football and Camogie section are holding a fund raiser this weekend. They will be bag packing in Dunnes Stores Donaghmede this evening and all day Saturday. So if anybody is doing their weekly shopping this weekend drop into Dunnes and support the girls. Crucial Heineken Cup game this Saturday Exeter v Leinster. Coverage starts at 5.45. Watch the game on our 10ft screen in HD with surround sound. Support your team, support your club. 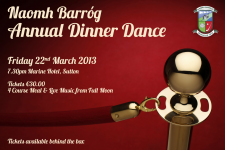 Kilbarrack United FC are having a Strictly Come Dancing fundraiser on the 8th of March. They are looking for two volunteers. Contact Naomh Barrog or Kilbarrack United FC if interested.